Mallei was my first dog- I got him when I was 18. He is a sweet, sooky, lovable boy who would do whatever I asked because I asked him to (or more likely because I had food at the time). It’s amazing that we did so well in agility considering he had no foundation to speak of, and a completely novice trainer who had no idea what she was doing, and who was finishing highschool during his puppyhood. Mallei and I competed in the State championships 3 times, our best effort was to come 2nd in Jumping. The first year we got in, he ate a kilo or so of rabbit food the night before and blew up to the size of a balloon. The next year something else ridiculous happened but we got through it. We competed in the Advance Team for Victoria in a trial in SA, and once in the Victorian Team at the National Competition, held in Melbourne. 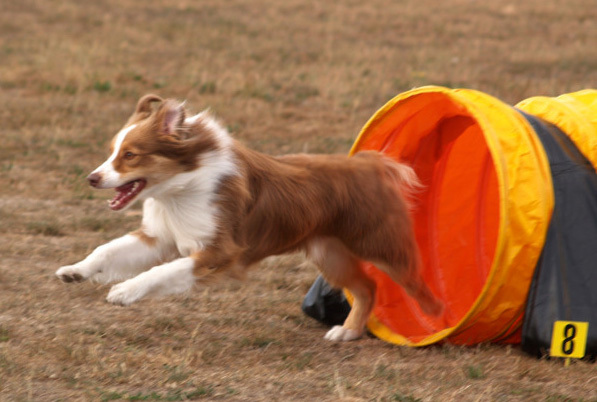 Mallei was the 2nd dog in Victoria to obtain the Agility Champion title under the rules at the time, and the 1st Australian Shepherd to obtain it in Australia. This is all quite remarkable given that Mal was never a sprinter dog (except on the home-straight) and that we never followed any handling method except my own, and that, by the end, I regularly forgot courses. I think that speaks a lot for doing what works best for your dog. At the time, we were competing when good speed and consistency were key (which is to say, there were a lot of crazy fast dogs around who weren’t consistent, and a lot of consistent but slow dogs around… Mal was never ridiculously fast, but he was fast enough, and consistent in getting through clear). I went back to Uni in 2009, Mal had just turned 6, and I stopped working. I found that even when we did a very speedy, good run for us, we were consistently coming 5th – there were much faster dogs than us competing, and financially, I couldn’t justify 5th places any more. So I retired Mr. Mal and he became our cuddly house-dog. Mal shows me, often, how much he missed out when he was a pup when it comes to socialisation, and yet he’s a perfectly calm and sensible dog, and hides his stress much better than I ever gave him credit for. It’s only because of Lumen’s tendency to be afraid of most things that I can see him worrying too, in his own quiet way. Mallei hates the water, and it was always the bain of my life to try and compete with him when it was raining. Mr. Squinty-face hated getting rain in his eyes, and won’t wade into creeks or the beach past his stomach, and even then it’s a struggle. Mal is highly sensitive to a fault- preferring to climb all over you and lick your face if he thinks something is amiss, and 19kg of panicy, worried dog suddenly materialising on your lap when you’re bawling over some ridiculous movie isn’t the most fun thing. 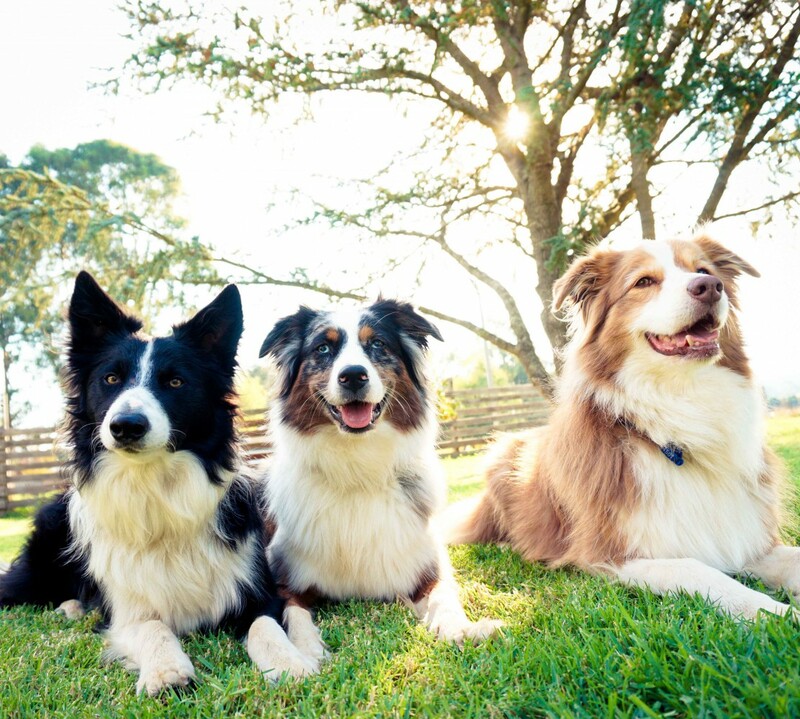 It’s funny because Kate from Rozate often says that these dogs will do whatever you ask of them, and do it well, but their true love is in herding. For Mal, his true joy was agility. Sure, he’ll herd for me, even if he’s far too close to the sheep and just wants them to run so he can chase them, but give him a set of jumps and a tunnel, and he lights up. I have him to thank for sucking me into the sport. When out on walks, Mal was never far from my side- keeping at a fairly constant 6 meter radius around me, constantly checking back to make sure I hadn’t abandoned him. I used to play a game when he was a younger dog where if he got distracted or forgot I existed, I’d go and hide somewhere. I think I have this to thank for his paranoia! Sometimes he’s so clingy that instead of just checking back with a look, he needs to come trotting all the way up to me, little hyperspeed tail wiggling, turn, and trot off again. Recently, however, with Lumen’s fearless exploring while out on free-running expeditions, I’ve noticed Mal getting braver and braver. Sometimes I can’t even see him for a while!! The other day they had both disappeared off down a hill in the bush, so I called them. Mal has the best recall of any dog I’ve known, and will happily call off mid-chase of a rabbit with a whistle and his name. He always gets to me first- usually because if he’s on a scent, he’ll leave it straight away (unlike Lu), or he’s closer than she is… This day, however, she got to me first! What?! So even at 9, he’s learning and developing, and it’s great to see him worrying less about where I am and what I’m doing, and just trusting that I’m still there and that he can go an explore. Mr. Mal and Miss Lu. Another jump with feet together. Look at his little front paws tucked together.